My interests lie in four related fields. 1. Paleoclimatology: I focus on the Southern Hemisphere Westerlies and the Australian and Asian Monsoons. 2. Paleoecology: I use pollen, chironomids and other biological proxies to reconstruct environmental changes. My work is focussed mainly in Australia, New Zealand and China 3. Glacial Geology: I determine the nature and cause of glacial events from geochronology, geomorphology and sedimentology with projects in New Zealand, Tasmania and the Pacific NW of North America 4. Coastal Evolution: I have active projects on coastal evolution of high energy coasts and dunefields, with a current ARC Discovery grant on the Coooloola Sand Mass and Fraser Island in SE Queensland, Australia. Jamie Shulmeister joined the University of Queensland in July 2009 from the University of Canterbury in New Zealand (on staff 2001-2009). He was previously at Victoria University of Wellington, New Zealand (1994-2001) and before that was a Visiting Professor at the University of Southern California (1993-1994) and a post-doc at the University of Canterbury in New Zealand (1991-1993). 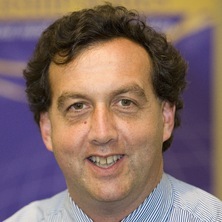 He was Head of School in Geography Planning and Environmental Management from July 2009 until December 2014. I have worked extensively in Australia, in New Zealand and in the Antarctic on the Late Quaternary climate history of these areas. The work focuses on reconstructing changes in circulation patterns with respect to oscillatory systems, notably the El Niño Southern Oscillation and abrupt climate events including the Younger Dryas and Antarctic Cold Reversal. The focus areas are in the Southern Hemisphere westerly belt and the Australian Monsoon. I am currently co-leader of an international project on the last glaciation maximum in the southern hemisphere. I am active in Australia and New Zealand and have worked in the US and Antarctica in investigations on the sedimentology, morphodynamics and Late Quaternary histories of coastal systems focussing on coastal dunefields and gravel beach systems. I am currently lead investigator on a project reconstructing the climate and sea-level history of Fraser Island and Cooloola from their dune fields. Environmental history of the Arthur's Pass area, South Island, New Zealand since the last glacial maximum. We are looking for several graduate students to work on a joint UQ - ANSTO (Australian Nuclear Science and Technology Organisation) project on the hydrological effects of human settlement on wetlands and lake basins. In the initial instance we would like Honours and MPhil students to work with Dr Craig Woodward, myself and Prof Henk Heijnis (ANSTO) on human impact records from South Island, New Zealand looking at the hydrological effects of Maori and European settlement on local water bodies and swamps. There are also projects based in SE Australia especially in the Snowy Mountains. Please contact me (James.Shulmeister@uq.edu.au) if interested for more details. This is an ARC Discovery project on the environmental history of the Fraser island and Cooloola dunefields. This project is well advanced. We are still interested in honours students to work in a variety of areas ~Please contact me (James.Shulmeister@uq.edu.au) if interested for more details. I have a number of projects working on the glacial and climate histories of South island New Zealand particularly the Canterbury Valleys and Central Otago. I also have planned work in Tasmania focussing on the SW and the central highlands. I am looking for a student to work on a joint project with Prof Bernie Bauer (UBC) to examine the glacial history of the Okanagan Valley, British Columbia. Burge, P. I., Shulmeister, J. and Turney C. 2006 Australasian INTIMATE meeting, Human Sciences Building, University of Auckland: Auckland 10-11 February 2006. Auckland, New Zealand: Geological Society of New Zealand, 2006. Holocene vegetation history of a high elevation (1200m) site in the Lake Heron Basin, inland Canterbury, New Zealand. Pugh, J. and Shulmeister, J. (2010). Holocene vegetation history of a high elevation (1200m) site in the Lake Heron Basin, inland Canterbury, New Zealand.. In S. Haberle, J. Stevenson and M. Prebble (Ed. ), Altered ecologies: Fire, climate and human influence on terrestrial landscapes (pp. 69-82) Canberra, Australia: ANU E Press. Shulmeister, James (2008). Illuminating the past. In Ian J. Craham (Ed. ), A continent on the move: New Zealand geoscience into the 21st century (pp. 72-73) Wellington, N.Z. : Geological Society of New Zealand. Shulmeister, James and McGlone, M. (2008). The last great glaciation. In Ian J. Graham (Ed. ), A continent on the move: New Zealand Geoscience into the 21st Century (pp. 268-269) Wellington, N.Z. : Geological Society of New Zealand; GNS Science. Shulmeister, James and Rouse, Helen L. (2003). Gravel and mixed sand and gravel systems. In The New Zealand coast ; Te tai o Aotearoa (pp. 143-162) Palmerston North, N.Z. : Dunmore Press. Can stable oxygen and hydrogen isotopes from Australian subfossil Chironomus head capsules be used as proxies for past temperature change? Cosmogenic nuclide exposure age constraints on the glacial history and biogeography of the Lake Wellman area, Darwin Mountains, Antarctica. Comment on "Glacial advance and stagnation caused by rock avalanches" by Vacco, DA, Alley, RB and Pollard, D.
Pugh, J. M. and Shulmeister, J. (2010) Holocene vegetation history of a high-elevation (1200 m) site in the Lake Heron Basin, inland Canterbury, New Zealand. Altered Ecologies: Fire, Climate and Human Influence On Terrestrial Landscapes, 32 69-81. Hyatt, O.M., Shulmeister, J. and Smart, C.C. (2007) A reconnaissance study of glaciation on the Owen Massif, Northwest Nelson, New Zealand. Quaternary Australasia, 24 11-18. Reply to comment by Doran et al. on "El Nino suppresses Antarctic warming"
Late Quaternary glaciations in New Zealand. Is the answer blowing in the wind? Dust deposition on the Taieri Plain\ Dust Deposition on the Taieri Plain (Bromley, Harvey, Renwick & Shulmeister) v22:p29. Bromley, Harvey, Harvey, M. J., Renwick, J. A. and Shulmeister, J. (2003) Dust deposition on the Taieri Plain\ Dust Deposition on the Taieri Plain (Bromley, Harvey, Renwick & Shulmeister) v22:p29.. Weather and Climate, 22 29-40. Chang, Jie, Shulmeister, James and Theiling, Bethany (2013). Application of stable isotopes from Australian chironomid (non-biting midge) head capsules as proxies for past climate change. In: Kate Bowler, Paul Greenwood, Sara Lock and Grzegorz Skrzypek, 12th Australasian Environmental Isotope Conference: Programme and Abstracts. AEIC 2013: 12th Australasian Environmental Isotope Conference, Perth, WA, Australia, (18-19). 10-12 July, 2013. Chang, Jie, Shulmeister, James and Woodward, Craig (2013). Developing methods that use Australian chironomid (non-biting midge) larvae as proxies for past climate change. In: AOGS 2013: Asia-Oceania Geoscience Society 10th Annual Meeting, South Bank, QLD, Australia, (). 24-28 June, 2013. Chang, Jie, Woodward, Craig, Shulmeister, James, Zawadzki, Atun and Jacobsen, Geraldine (2012). New data from Little Llangothin Lagoon, New England Tablelands, eastern Australia, indicate no significant post-European erosion. In: 15th Biennial Conference of the Australia and New Zealand Geomorphology Group, Bundanoon, NSW Australia, (). 2-7 December 2013. Almond, Peter, Barrell, David, Hyatt, Olivia, Rother, Henrik, Shulmeister, James and Vandergoes, Marcus (2007). Quaternary geomorphology, stratigraphy, and paleoclimate of the central Southern Alps, South Island, New Zealand: INQUA 2007 Post Conference Field Trip. In: Olivia Hyatt, XVII INQUA Congress 2007. The Tropics: Heat Engine of the Quaternary, Cairns, QLD, Australia, (1-71). 28 July-3 August 2007. Shulmeister, James, Turney, Chris S.M., Fink, David, Newnham, Rewi M. and Alloway, Brent V. (2006). Developing and event stratigraphy for Australian climate change. In: , , (290-291). .
Canterbury Plains NZ Field Trip Guide: The Canterbury Plains Braid Delta, South Island, New Zealand. Sedimentology and sequence development with reservoir implications. McPherson, John G., Browne, Greg H. and Shulmeister, J. (2006). Canterbury Plains NZ Field Trip Guide: The Canterbury Plains Braid Delta, South Island, New Zealand. Sedimentology and sequence development with reservoir implications.. In: AAPG 2006 International Conference and Exhibition: Reunite Gondwana, Realize the Potential, Perth, WA, Australia, (1-105). 5-8 November 2006. Proceedings of the 2005 NZ-INTIMATE Meeting (2005) . Edited by B. V. Alloway and J. Shulmeister. 2005 NZ-INTIMATE Meeting, 4-5 July 2005, GNS-Rafter Laboratory, Wellington. Shulmeister, J., Turney, C. S. M., Fink, D., Newnham, R. M. and Alloway, B. V. (2006, January 01). Developing an event stratigraphy for Australasian climate changeex. EOS / American Geophysical Union, p.283-283. The last glaciation maximum climate conundrum and environmental responses of the Australian continent to altered climate states. Holocene morphodynamics of sub-tropical to tropical beaches. Estimating carbon stocks across a changing tree line. Palaeoecology of the South Wellesley Archipelago. A History of Human Occupation and Environmental Change.